GBS Architects are an architectural practice based in Oxford. 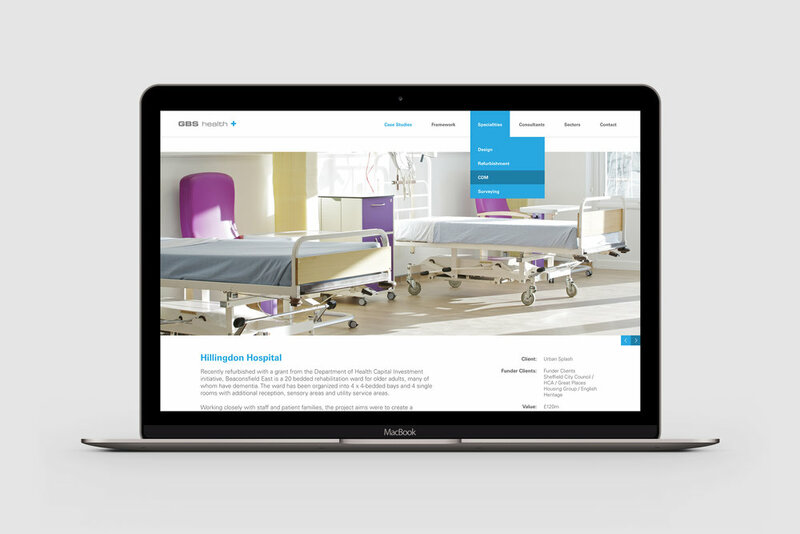 They wanted to create a separate brand which focused on the healthcare side of the business so I went away and designed them a new website. The new site had to mimic the original site so as to be recognisable as part of their existing brand yet also had to be different enough to stand alone and function on it's own.